Get Top-Notch Discussion Board Help - Make Sure Your Posts Count! High-Quality Discussion Board Help – To Help You Make a Great Impression! It has been shown in studies that of all students in higher-level education, 28% have joined an online study program (one course at the very least), with many of them requiring discussion board help. These courses differ from traditional learning environments in that the students taking them are not given the opportunity to put up their hands to ask questions, nod when another student makes a good point, or chat with their professor(s) when a lecture has ended. Instead, discussion boards are their only form of interaction. What exactly is a discussion board and why or when might students need discussion board help? A discussion board is a type of learning and interaction platform for those taking an online course. They are a way for students to interact and engage with one another, pose questions, and add comments. Additionally, they are a method for submitting class or coursework. Assignments distributed through discussion boards can vary and may involve reflecting on a piece of reading or providing short answers to questions related to materials covered in class. Essentially, answers required to a post to a discussion board are used to evaluate a student’s knowledge in a way that is similar to submitting an assignment in the conventional manner. Begin by carefully examining the requirements of the task. One success strategy that is fairly obvious is making sure you really understand what is required by a course instructor. Be careful not to exceed the word count limit by too much or skimp on it by too much. Solid evidence is very essential. Where a task requires a point or argument to be defended, speculative answers or unsupported claims are not sufficient. Every argument should be backed up with reliable sources. Even where assignments do not need or expect sources, a quotation from a respected journal or newspaper can make a considerable impression. And, needless to say, you should cite all sources to avoid being accused of plagiarizing. When you are responding to an original question or comment, make sure you respond to any comments that are subsequently posted and when you start a new thread or conversation. Don’t just say “Your view is wrong” or “I disagree” and nothing more. Develop a credible stance that starts and encourages lively but respectful debate. Don’t delay in posting until the very last moment. When a fellow student or instructor posts a topic for conversation, it is likely there will be a time limit for responding before the thread is closed. Delaying until the end can make a post appear forced because you were obliged to add something in a hurry and this is unlikely to make a meaningful contribution to a discussion. If you are in any doubt, send your course instructor an email seeking advice or clarification. In the event you are unsure what an assignment requires or a comment you post is ignored, it is advisable you find out why. It may be that your fellow students are as confused as you about a particular assignment’s requirements. Pay attention to the tone of your posts and avoid acronyms and slang. Posts for Reddit and a class discussion board should not be treated in a similar manner. You should use complete sentences, capitalization, and correct punctuation where applicable. Neither is it appropriate to use all capital letters and a whole lot of exclamation marks. Clearly, you should not be personally insulting to other people or cuss at them. Do not forget that these posts are meant to be academic in nature – just the same as submitting any academic paper. It is acceptable to use smiley faces occasionally, but emojis should generally be used sparingly, even the popular unicorn emoji. If it is the case you want to buy a cheap discussion board post but you still want high-quality work, don’t hesitate to contact SupremeEssays.co.uk. We understand the circumstances of students and that most of them are unable to afford expensive papers, so our prices are set to suit average budgets. Therefore, when you need a cheap paper but without compromising quality, our company’s website is exactly right for you. 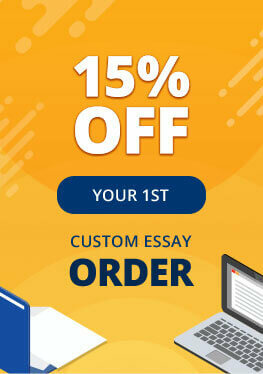 The total cost of an order depends mainly on the educational level, number of words, and deadline. And please note there are no hidden costs at SupremeEssays.co.uk. In choosing to buy a discussion board, you are only separated by a few small steps from an excellently-written piece. Yo first need to find the order form and complete it with as much detail as possible. Next you need to pay the indicated fee. Once this is verified, an expert writer will immediately begin. The grammar in the completed text is checked and the paper is tested for plagiarism. Once work is complete, your paper can be downloaded via your SupremeEssays.co.uk account. Or you can ask us to have it emailed to you. Still Finding Discussion Posts Troublesome? We will happily solve your discussion post problems. Our writing service is a professional and extensively experienced business. 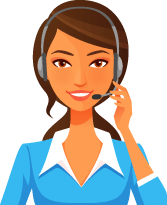 Do not hesitate to get in touch with us by live chat service – we are here 24x7 to answer your assignment-related questions. Our experts excel at replying to discussion posts in an insightful and thoughtful way. We can also complete assignments for a range of different disciplines e.g. art, economics, history, information technology, literature, management, marketing, nursing, project management, and so on. With us, you can leave your worries about large volumes of homework, endless research and looming deadlines behind. You will not have to stay up every night until midnight. From here on, you just enjoy life as a student while we handle your homework assignments. So buy your discussion board posts from SupremeEssays.co.uk today!